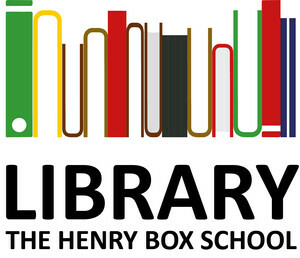 The Henry Box School Library is founded on the basic principal that those children who read for pleasure are more likely to do better at school, have more rewarding jobs and grow into more thoughtful, imaginative and resourceful adults. Our whole ethos is to provide a bright, engaging, up to date library with books that appeal to young people. The library is often a safe haven and is accessible to all students regardless of their reading ability. For those children who already love to read, there is a well-stocked wide range of books and two library staff to support those students to find ‘just the right book’. For more reluctant readers, we encourage them to try new authors, quick reads, fiction and non-fiction, graphic novels and magazines to engage them in the world of print. We don’t give up and we work as hard as we can to keep engaging our students with books. Reading we believe is the foundation for education, without it all else flounders. The enjoyment of seeing a reluctant reader turn into a regular reader makes the journey getting there completely worthwhile. All libraries should be at the very heart of a school and we continue to work hard in our library to make sure that continues to happen. All students are welcome to use the library and its resources or bring their own books to read during their free time. The Librarian and part time library assistant are here to help students use the free resources. Students can have up 3 books and 1 DVD at any given time. We hold a number of clubs in the library during lunch times and after school. Within the Library there is a separate silent student area for Sixth Formers. This has its own separate selection of resources, including up to date core English texts and the latest copies of subject textbooks as well as a large collection of extension reading materials. When the library is free from time tabled lessons the sixth formers are encouraged to use the rest of the library for silent study and have full access to the computers.